When Al and the others show up at the stadium, the tank is surrounded by an overwhelming amount of walkers, but they are ready to cause a distraction that will allow Morgan and Naomi to get inside to help John. The plan seems to be working, but Alicia, Victor, and Luciana show up with an RPG, refusing to make this go seamlessly. Alicia and Al share some choice words over the walkie-talkie, while Al reminds her that she’s now definitely supporting the other side. It’s great to see Al finally step into the action, as she trusts Charlie to record what goes on, not wanting to lose out on a chance to document their story further. Alicia and Al get into quite the fight when Alicia shows up at the tank. Al comes pretty close to being the main course meal for the walkers, but is able to get out of this without a scratch. During the episode, we flash back to the past before Madison found the stadium and learn that she crossed paths with Al. While they initially start off not trusting each other, Madison eventually lets her guard down after aimlessly searching for a tape from one of her kids. Al talks to Madison about the truth and tells her how it can change things. She empathizes with Madison and explains that even though she didn’t find the story she was looking for, someone might be interested in her story one day. Madison explains that she broke her promise to her kids and that “you don’t need a camera cus it just sticks.” She tells a heartwarming story about her kids trying to help a wounded bird and nurse it back to health. They named the bird “Amina” for short and took care of her, giving her a chance when no one else would. Madison would open the box each day, fearing what she might find, but was shocked to see the bird flying around in their living room. Madison was so touched by the actions of her children who refused to give up on this bird that anyone else might have turned their back on. She explains that there is not a lot of that left in the world now and she never wants her kids to lose that. When Madison and Al part ways, Al gives her some Ramen noodles and tells her that maybe they will meet again. Later on, when Madison reunites with her kids at the motel, she reveals to them that someone helped her when they didn’t have to and that “It’s time for us to do the same.” Her interaction with Al inspires her to build the stadium into a place where others can go to find a sense of belonging, protection, and people who will stand by them. Madison’s words are absolutely beautiful and remind us that there is still good in the world. 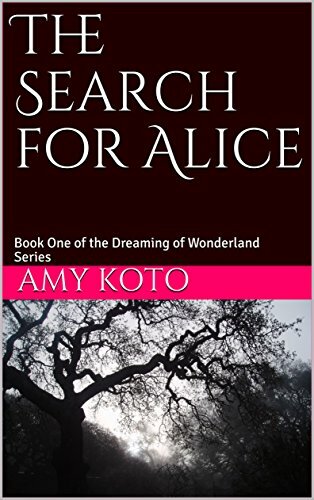 Even though she and Al were strangers, they ended up helping each other, reinforcing the belief that there are still good people existing in this world. When Naomi goes into the infirmary with Morgan, John is holding on by a thread. He asks Charlie to record him, but Al tries to get him to stay positive. John explains that “it’s for her,” as he speaks openly to Naomi on camera and tells her to stop running and to help Morgan do the same. Luckily, Naomi is able to stabilize John and it looks like he is going to be OK. Naomi tells John that her real name is June, finally wanting to tell him something real and meaningful. John’s reaction is beyond heartwarming when he tells her that June is his favorite month. June touches John’s hand and the spark between these two is burning brightly again, allowing us John Dorie fans to cheer. It looks like these two might get the chance they deserve after all, inspiring some hope in this distressing world. I am absolutely thrilled that John is going to be OK because his character elevates the show, opening up possibilities for a new chapter. When Alicia is in the tank, she spots the Ramen noodles and demands to know where Al got them. Everything clicks in her head when she frantically searches through the tapes and finds one titled, “Amina.” Alicia watches the recording of her mother, Madison, carefully listening to each and every word, displaying her grief across her face. Alicia still wants to take revenge on Naomi, however; and demands that Al convinces her to come out. Al strategically leaves on the walkie-talkie to warn Morgan and Naomi. Morgan offers to go first because he doesn’t want anything to happen to Naomi. When Alicia comes out, he stands in front of Naomi and she is shocked that is willing to give his life for a stranger. Alicia’s rage is almost uncontrollable now, as she points the gun at them and screams, “My Mom’s dead because of what you did!” Morgan doesn’t give up on Alicia and even when she says that she’s not that person anymore, Morgan tries to get her to realize that it’s not too late and that things can change. Morgan explains that they did for him and they still can for Alicia. He ultimately gets through to her when he tells her that they already have because he’s not dead. Alicia breaks down crying and the immediate threat is over, as she finally allows her emotions to break through. This moment is absolutely heartbreaking, as Alicia shows her own vulnerability. It’s shocking that she waited this long to cry, but her actions are understandable and I just hope that she can take comfort in knowing how much her family cared about her and how she still has the opportunity to become who she is meant to and to help others in need. Al asks Alicia what happened to her mother, as she made quite an impact on her as well and Alicia replies with, “You want the rest of my Mom’s story? Pull over.” All of the pieces finally come together, as we learn about the last moments for everyone in the stadium. Charlie explains that Mel saved her life and got her out of there in the car. Naomi reveals that she tried to talk everyone out of leaving, but they had already made up their minds. She explains that she was then surrounded by walkers and made a run for it, thinking that everyone was already dead. She was then later picked up by the Vultures, but it’s clear that Naomi was just trying to survive like everyone else. We learn that Victor got burned when he saved Alicia from running after her mother and then we finally learn the fate of Madison. Madison recognized that her friends and family were in danger and lured the walkers away from them with a flare, trusting that the walls would hold. No one else believed her and the other people died trying to escape, but Madison knew that she was right. Once she saw that her family would be able to get away safely, she tried to make it to the tunnels but was trapped with nowhere to go. As the walkers surrounded her, Madison threw the flare into the hoard and a bright glow reflected off her face before the explosion hit. Madison gave up her life so that her family and friends could live. After the story is recorded, Al labels this one “Madison,” reminding us that her story is never gone. Madison will live on through her family and her actions will hopefully inspire them to continue to try and do the right thing. We will need to wait until August 2018 for new episodes, but we have now lost two main characters and I’m interested to see where we are going now. While we know that new threats are always right around the corner, it will be interesting to see how the dynamic of the show shifts now that we are focusing on different characters and story-lines. I’m absolutely open to the change, but I will miss Madison, as Kim Dickens did a phenomenal job as the main protagonist on the show. RIP Madison. Stay tuned!